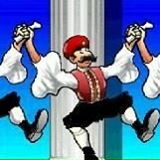 Welcome to the Fengari Greek Dancing Blog. Let us know what you think of our classes and private lessons? If you have taken a class, how have you found the lesson?